Though the concept of virtualization is far from new, recent requirements such as the need to maximize hardware utilization, decrease hardware costs, reduce power consumption and simplify system management and security have led to a significant increase in both the deployment of virtualization and the number of available virtualization solutions. In fact, virtualization solutions are now available to meet just about every need, from the global enterprise all the way down to the home user. This book is about one such virtualization solution known as Xen. 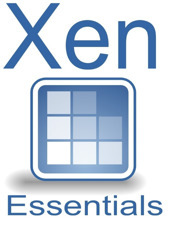 Xen is a feature rich, open source, hypervisor-based virtualization solution which, in spite of its relatively recent origins, has gained both wide acceptance and an enviable reputation throughout the IT industry. The objective of this book is to provide the reader with an understanding of the basic approaches to virtualization together with detailed information on deploying virtualization using Xen technology. Whilst many books tend to focus on the theory of virtualization, this book emphasizes the practical aspects of working with Xen, including detailed step by step tutorials designed to show exactly how to create, deploy and manage Xen based guest domains. Neil Smyth is co-founder and CEO of Payload Media, an internet and eBook publishing company based in the U.S. Prior to launching Payload Media, Neil held a number of positions in the IT industry including programming, web development, systems administration and sales and marketing and is the author of a number of technology related books. Click here to see all his "Essentials" technical books.